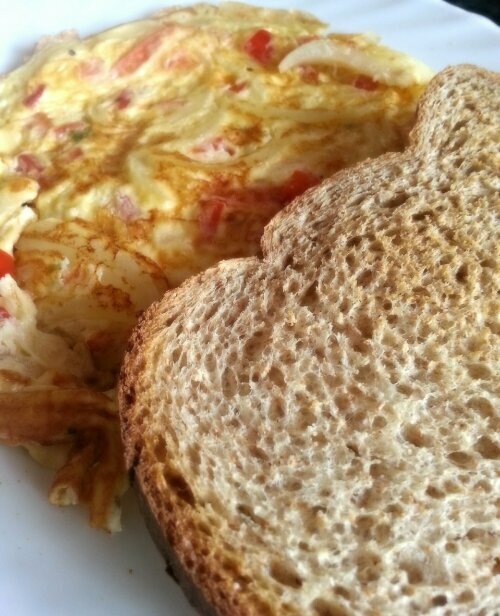 We all had some brunch which was great but what was even better was the cup of tea she had made that was waiting for me after I finished in the kitchen. Oh my god! 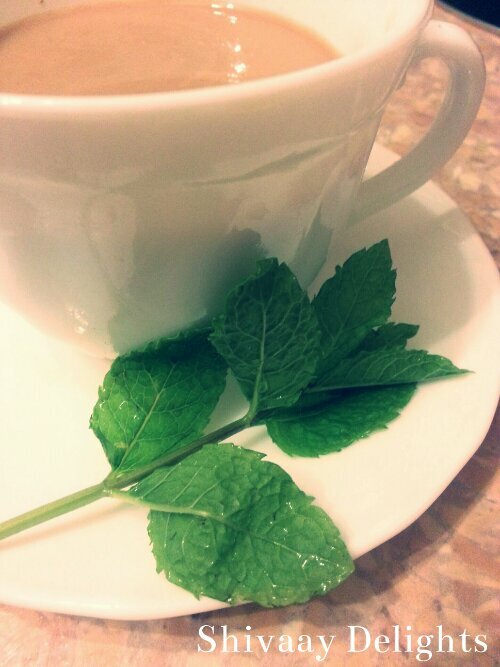 I know you can have mint tea but to combine Indian masala chai/tea with fresh mint! Was really something! My taste buds were refreshed and my thirst quenched. I told her as soon as I had taken a sip that I would be blogging this recipe on her behalf. What made this tea even more special was that Anussha had just picked the fresh mint from her very own garden. Which she had gently cultivated from a mint cutting from South Africa. So this tea was now a blend of flavours from India, South Africa and the fertile soil of the UK. Really a stunning trio! 1. Boil the cup of water with the mint leaves and add sugar, stir to infuse flavours. 4. Strain the tea. 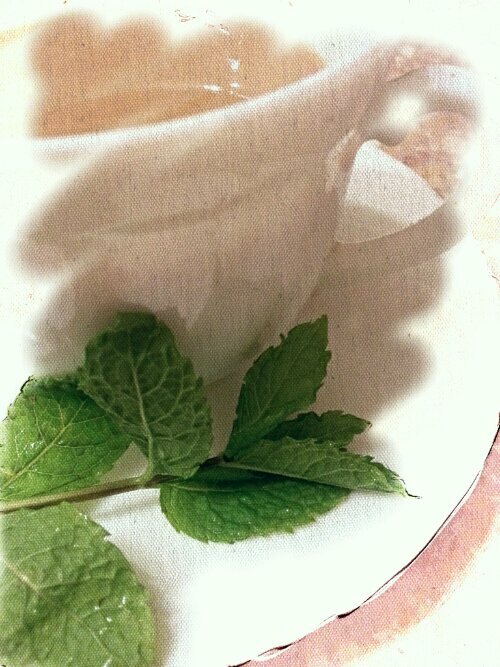 If you want a more potent mint effect add some more mint leaves to your cup of tea and let the mint oils do its thing! Very nice, Dimple. Elegant too! Wow. Adding mint to chai is a great idea. I love chai and can not get enough of it…around December! Mint sounds like a lovely idea in the tea. That tea sounds so comforting! what a great idea. I love mint tea and chai, never thought of combining the two. Sounds refreshing!